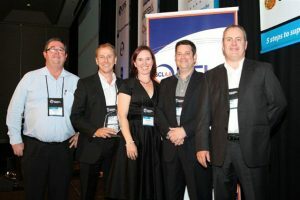 All Purpose Transport has made outstanding strides in the trucking and transportation industry. 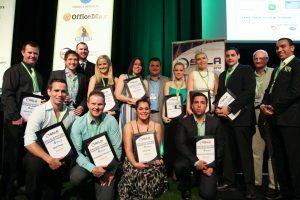 Our achievements and hardworking people continue to be recognised in the many workforce excellence awards we’ve won over the years. 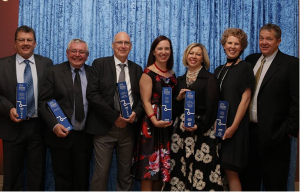 APT strives to celebrate the exceptional contributions made by our people and the work we do each day to provide our customers with the best service available. 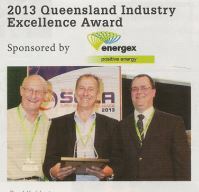 Take a look below at the recognition we’ve received for workforce excellence through the years. 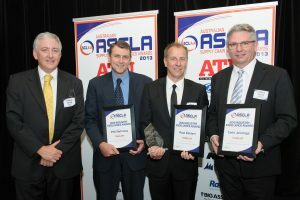 In 2013, APT’s general manager Paul Kahlert was awarded the Industry Excellence Award by the Supply Chain and Logistics Association of Australia (SCLAA). As the longest-running national awards program in the industry, it was a great achievement to win an award of this calibre from SCLAA. 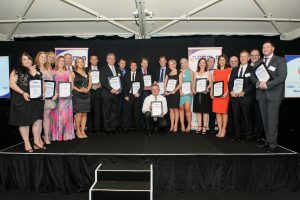 Paul was recognised for leading the training and development program for APT employees, giving his time and knowledge to industry bodies and donating time and transport services to charities. 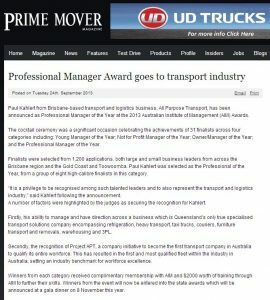 The Australian Trucking Association presented APT’s Nigel Felton with the 2016 National Professional Driver of the Year award. Nigel began working for APT in 2003 after getting his start as an owner driver in 1999. He was one of the first to complete APT’s training program (known as Project APT), earning himself a Certificate III in Driving Operations. Nigel’s dedication to our customers and keen understanding of the industry made him the perfect candidate to receive this employee excellence award. 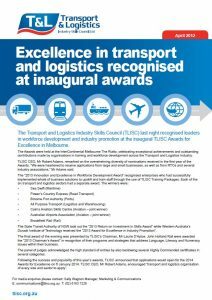 In the same year, All Purpose Transport also received the National Training Excellence Award from the Australian Trucking Association. 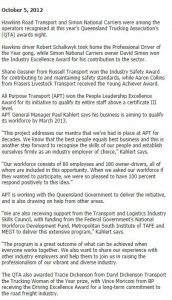 This recognised APT’s efforts in workforce excellence, investing money into training our people to be qualified above a Certificate III. Thanks to these education initiatives, we now have the most qualified driver workforce in Australia. 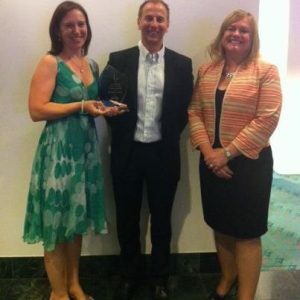 All Purpose Transport was commended for Project APT – a mission focused on the training and education of all employees. Our processes and initiatives have now become documented as a guide for other employers to use through the Industry Skills Body. 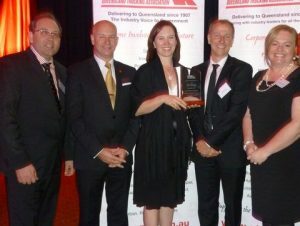 It’s highly important for APT to recognise the outstanding contributions made by women in trucking each year. 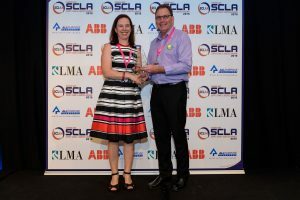 In 2018, our very own Belinda Polglase won the National Trucking Industry Woman of the Year. With 20 years of working in transport, Belinda goes above and beyond for the trucking industry and our customers. Belinda’s dedication and commitment makes her an excellent leader of the APT team. All Purpose Transport is known for our workforce excellence and providing accommodating transport and logistics solutions to all our customers.